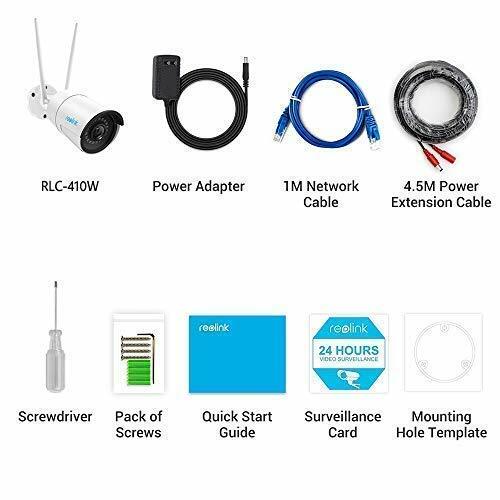 The Reolink 4MP 8CH PoE Video Surveillance System is the big boy in today's giveaway since it's the perfect starter pack for your outdoor security needs. 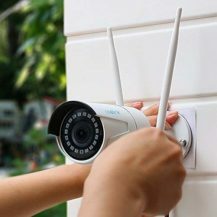 The entire system is plug and play, which means you can easily connect your cameras to the NVR using a simple PoE connection. 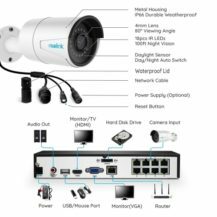 Each of the system's four cameras can support up to 270ft of Cat5 cable, or 330ft via CAT6, which should provide the majority of users plenty of length to string the system's cameras. 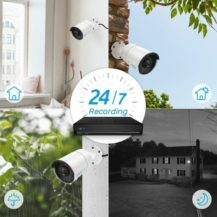 Of course, you'll need somewhere to store your recorded video, which is why it's a good thing the included NVR comes with a whopping 2TB of storage. 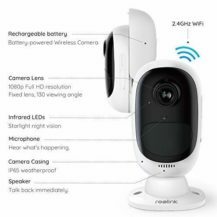 The Reolink RLC-410W Outdoor Security Camera comes with a couple of different features when compared to the Argus 2. It supports a 4MP high definition resolution since your videos will be recorded at in 1440p. It also supports dual-band wifi (2.4 GHz and 5 GHz) through two 2T2R MIMO antennas, this way you won't have to worry about stringing cables. It also comes with an SD card slot so you can easily record video on the device itself. The Reolink 4MP 8CH PoE Video Surveillance System is currently on sale for 15% off its regular retail pricing. If you'd like to automatically apply the coupon before checking out, simply click on the link below, and if you'd like to manually apply the code to save 15%, just input this code 15BJ59YC in the coupon field when checking out. 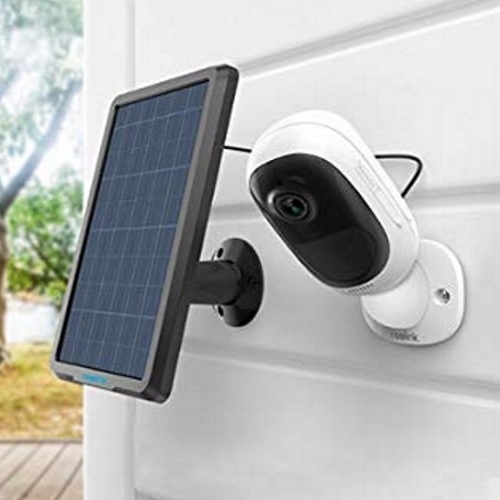 The Reolink Argus 2 and weatherproof Solar Panel Power Supply is also on sale for 15% off the regular retail pricing. 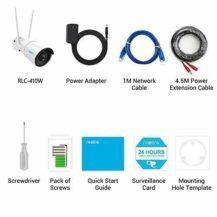 In order to take advantage of this sale you just have to click on the purchase link below to automatically apply the coupon code to the Amazon listing. You can also apply this code 157CXKVJ manually, if you prefer to do it yourself. You can also snag the Reolink RLC-410W Outdoor Security Camera for 15% off the regular retail price, and just like the above listing, all you have to do is click on the below Amazon link to automatically apply the coupon to the listing. You can also use this coupon code 152WG5R2 when checking out if you'd prefer to do it manually. This giveaway will run from Monday, March 18th to 11:59pm PT on Wednesday, March 20th. Three winners will be selected. One person will win the Reolink 4MP 8CH PoE Video Surveillance System, one person will win the Reolink Argus 2 outdoor security camera and solar panel, and one person will win the Reolink RLC-410W Outdoor Security Camera. Only United States residents may enter. Good luck everyone!